Nearly 20 years removed from its debut, Pokémon is still going strong, both in its native Japan and abroad. It’s not as much of a global trans-media juggernaut and wallet-draining scourge of parents everywhere as it once was, though. 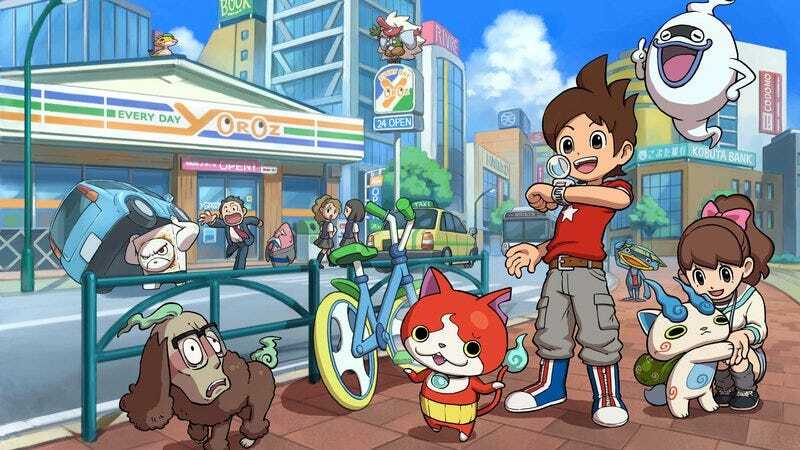 In Japan, the latest brand to take up that mantle is Yo-kai Watch, a billion-dollar game/anime/manga/toy craze created by Level-5, the veteran development and publishing house that’s known overseas for the Professor Layton series. Today, Nintendo announced that it‘s partnering with Level-5 to unleash Yo-kai Watch on the rest of the world. Unlike Pokémon, which is a Nintendo owned-and-operated series, the company will only be publishing and helping Level-5 translate one of the Yo-kai Watch 3DS games for a global launch. (The announcement didn’t specify which of the three games Nintendo would be localizing.) But Level-5 has brought on more heavy hitters to handle the other tendrils of the ingenious Yo-kai Watch child-brainwashing machine. VIZ Media is publishing the manga, which is expected to debut in September, followed closely by a translated anime series, Nintendo’s 3DS game, and oodles of toys from Hasbro for kids to throw tantrums over.